On March 6, 2018, the American Bar Association (ABA) issued Formal Opinion 480 on Confidentiality Obligations for Lawyer Blogging and Other Public Commentary. As an attorney, you are probably steeped in your state’s rules of client confidentiality and know better than to reveal client confidences on the golf course or at a dinner party, much less on your blog for all the world to see. However, the full extent of your obligation, at least according to the ABA as set forth in its recent opinion, may surprise you. As you may recall, the exceptions in 1.6(b) include reasons such as to prevent a crime or fraud, prevent injury or death, to comply with a court order, and other reasons that seem unlikely to apply to disclosing facts on a blog or social media posting. The scope of this rule goes beyond revealing information that was shared with you by the client in confidence. The duty of confidentiality under Rule 1.6 is far broader than simply information covered under the attorney-client privilege; even revealing the name of a client or the fact that you represent(ed) someone can be a violation of the confidentiality rule. Similarly, it does not matter if you are revealing information that is already public record or a matter of general knowledge, because it is in a published court decision or has been reported in the news, for example. Even in these situations, it is still important to get the client’s informed consent before disclosing facts related to the representation. Will Jurors Read Your Blog? Beyond a thorough understanding of ABA Model Rule 1.6 (or Rule 3-100 in California), blogging about client matters can implicate other ethical rules as well. For instance, ABA Formal Opinion 480 also points out that even if you have a client’s informed consent to speak about a matter, you still need to be careful that your blog or tweet does not run afoul of Rule 3.5 (Impartiality & Decorum of the Tribunal) or 3.6 (Trial Publicity). These rules prohibit making statements or communications intended to influence a judge, juror or prospective juror, or which could materially prejudice an adjudicative proceeding. As a final point, a footnote in Opinion 480 reminds lawyers to be careful to avoid inadvertently forming a lawyer-client relationship with a reader of your blog or other public commentary. 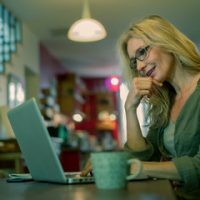 If your blog allows readers to submit comments or questions, and you respond with answers or comments on your own, you may be dipping your toe into the waters of a new attorney-client relationship without realizing it. Having an appropriate disclaimer on your website is an important step, but it’s prudent to keep this factor in mind if your blog is interactive in nature. ABA Formal Opinion 480 is definitely worth reading and understanding if you are blogging for yourself on your law firm website or social media. If you are utilizing a legal marketing company to draft blogs or manage your social media on your behalf, make sure the company you choose understands these rules as well. Ultimately, of course, you as the attorney are responsible for the material that appears on your website, but using a legal marketing company you trust and can have confidence in goes a long way toward making sure your website complies with the Rules of Professional Conduct in your jurisdiction.